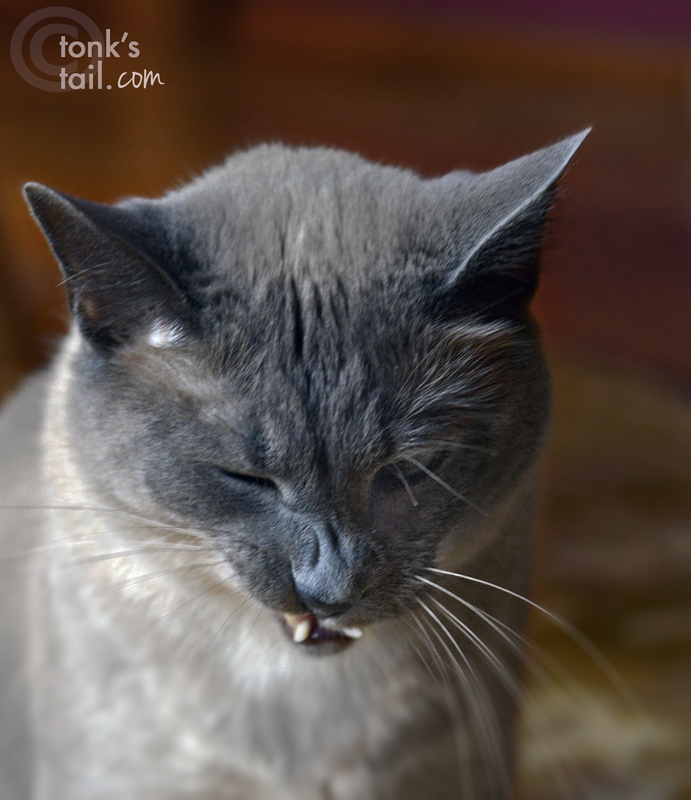 Scrunchy-nose fangs. Yeah, that's the ticket. Fangs fotos are always way cool but add that nose wrinkle and it's just plain beyond fab! Our Mommy fainted from cuteness of it! now due ewe bee leeve uz !! Whoa, that's frightening! You scared me, Maxwell! BTW, my human says thank you for the lovely card! oh goodness, I love scrunchy nose! what program are you using for watermarks? Its photoshop isn't it?? Well now, dat's cute. Hav a pawsum Furiday. That is some big fangs you have got there. How did you DO that?!?!???? Very cool fang photo. I didn't know you could make your fangs show by doing that. Snorts to you. Have a super Saturday. Did Allie tell you your face might just freeze that way? No? She must be slipping.